Our house is there where we live. We love it and we also take care of it. We are sure that you will love it too because it has a certain class and it is practical at the same time. All rooms are quiet big and arranged that you (and your family) will feel comfortable. We have very positive references from our past exchanges. Suitable for families or older persons. We are a family of 4. Daniel & Dominique (47) and our 2 children, both well behaved girls (born 1991/1993). Two cats are also within our family. They can be feeded from our friends if wanted. We like to discover all kind of regions, play golf, love to ride horses (only the girls!) and swim in the sea. Discovering interesting cities is also a hobby. We are uncomplicated, spontanous and we will take care of your house. For sure! High quality detached house in rural and safe village, but close (25 km) to the capital Berne and next to bigger town Biel-Bienne. Horse-riding 100m away. Very friendly and helpful neighbours. 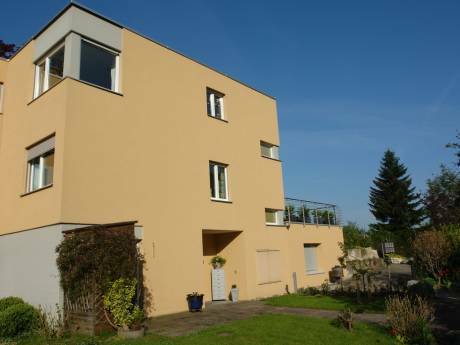 Our house is modern, bright and has 5 rooms, terrace, big sun-garden (28m2), is fully furnished (TV, Video, DVD, Internet Access etc), inside and outside cheminée, fruit-trees. Wide land, very calm environment, but close to the city and its amenities and possiblities. You can use our 4x4 Honda CRV to visit all kind of regions. Biel-Bienne is the only bilingual town in Switzerland (German/French) and the center of our watch industry (Rolex, Swatch, Omega etc). Most of the persons here speaks german and french, a hugh number english too. Some miles to our north, we have hills up to 1500 m. In the south, not more than 100 km away, the mountains are more than 4000 m high and offers a lot of world class ski resorts. In between it is mostly "flat" whatever this means in Switzerland. Clean lakes (next is 7 km away), beautiful nature and historical culture are evident here. 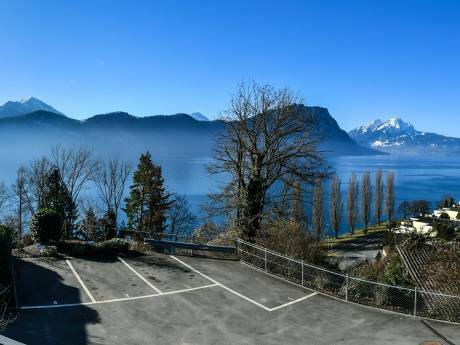 Most of the national major attractions and cities (Zurich, Basel, Lausanne, Interlaken, Geneva, Lucerne and captial Berne) can be reached easily in daily trips by car or train in 1-2 hours. Railway-station nearby. Different Golf courses (6, 2x9 and 18 holes) 15 car-minutes away.